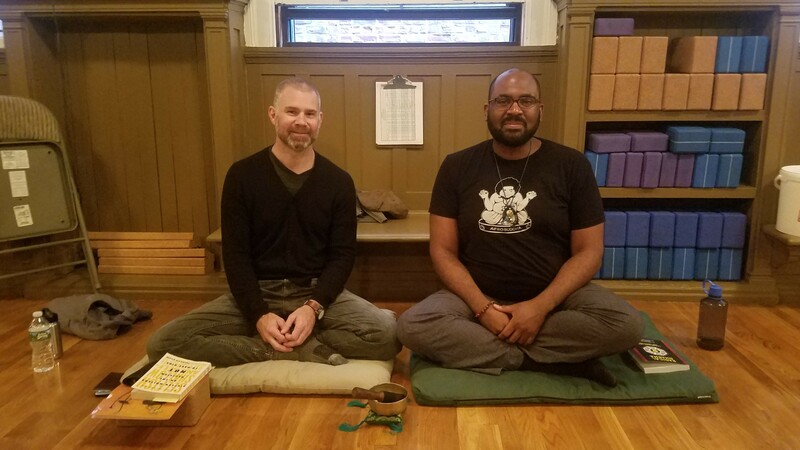 Boston Meditation Center (BMC) is a Buddhist sangha in the Insight tradition serving greater Boston and the East Coast. Emphasizing the development of wisdom and kindness through traditional practices made accessible and relevant to modern-day lives, BMC welcomes everyone who seeks greater freedom and happiness in their lives. Central to our vision is the belief that the path of awakening is attainable by all and should be available to all. Our guiding teacher is Chris Crotty. 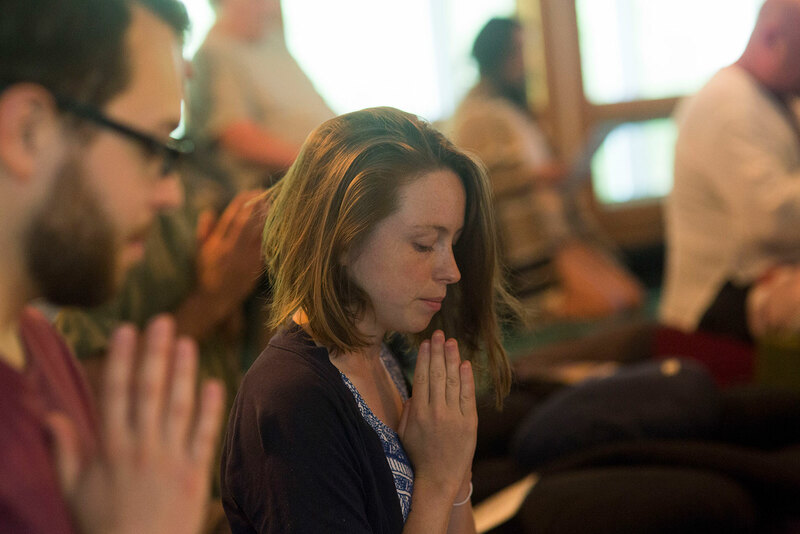 We offer weekly meditation classes and dharma talks, as well as daylong and residential retreats. We are currently located in Cambridge (Harvard Square). BMC meets every Thursday from 7:15 to 8:45 p.m. at Karma Yoga Studio in Harvard Square (1120 Massachusetts Ave., Cambridge). 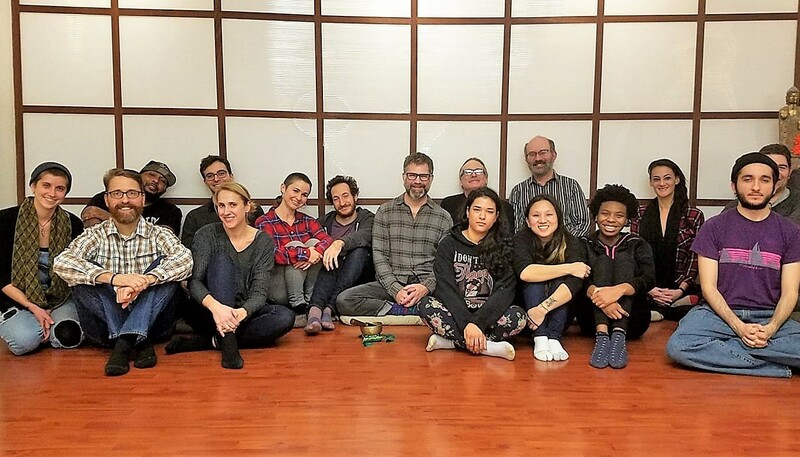 Meetings typically begin with 20 to 30 minutes of guided meditation, followed by a dharma talk and discussion with our guiding teacher, Chris Crotty, or another teacher or facilitator. Donations are gratefully accepted. 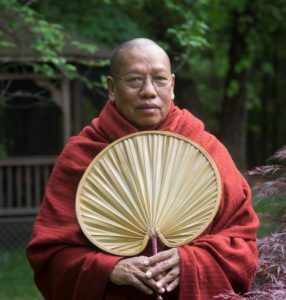 Though grounded in the Theravada tradition, we strive to expose our members to diverse approaches to the dharma by occasionally hosting teachers from other traditions, such as Tibetan or Zen Buddhism. To register, click the link below to download the registration form; if you need financial assistance, you may also download the scholarship application form. Fill out and return the registration form either by mail or email; to pay, you may send a $200 deposit along with your registration form, or you may pay in full now by selecting a payment option below and clicking “Register.” If you are registering for the Saturday-only option, you do not need to complete a registration form, you may just submit the $90. Further details are on the forms, but if you have questions, please email us at info@bostonmeditationcenter.org. 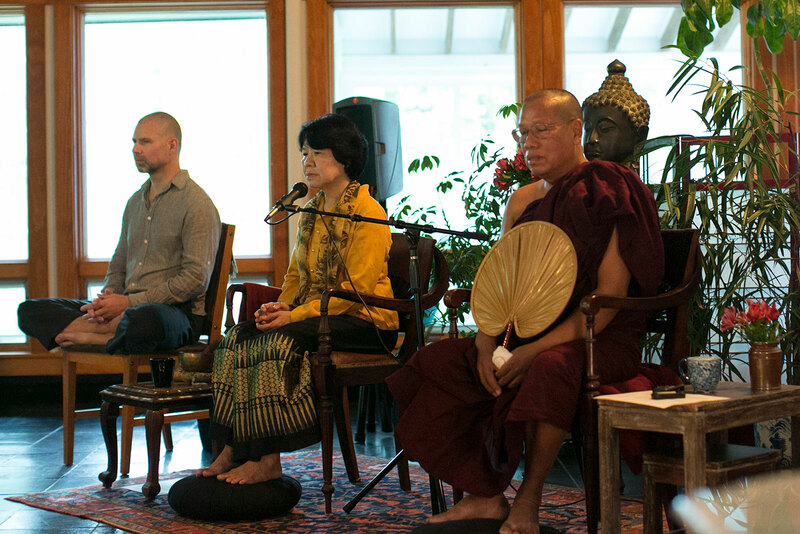 May Myint Oo (Mimmi) has been practicing meditation since 1992. She sat intensive retreats for many years at the Chanmyay Yeiktha Meditation Center, where she studied under Sayadaw U Janaka and was a volunteer translator and assistant to meditators. 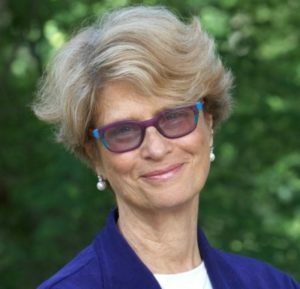 Since 2004 she has translated on a volunteer basis for Sayadaw U Inndaka at Chanmyay Myaing Meditation Center and on his teaching trips to Malaysia, Singapore, Indonesia, India, Switzerland, Germany, the United States, and elsewhere.